You can create a custom message that users will see on the sign in page. 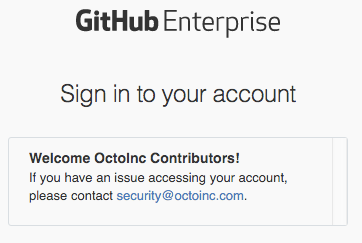 Note: If you are using SAML for authentication, the sign in page is presented by your identity provider and is not customizable via GitHub Enterprise. In the upper-right corner of any page, click . 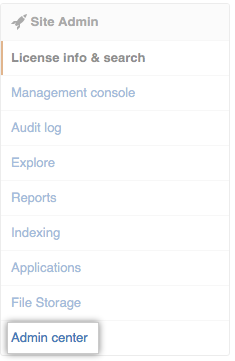 In the left sidebar, click Admin center. 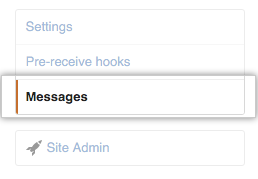 In the left sidebar, click Messages. In the Sign in message field, type the message you'd like users to see. Markdown is supported. Click the Preview button under the Sign in message field to see the rendered message.